While some mothers have cookie monsters, this one has a tomato monster. Which makes sense when you consider the Korean love of all things made of tomatoes: like, say, tomato and local almond crullers. True story. These fried and glazed gems were spotted (and sampled and rejected) a couple of years ago in a Dunkin’ Donuts in Seoul. 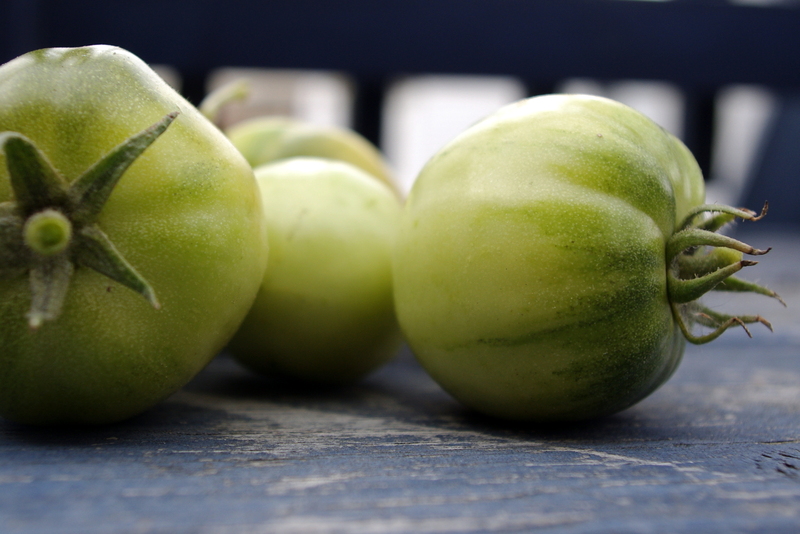 So naturally, when the little blue deck got cleared off back in late-October, this gardener and Amma had a hard time tossing the hard, green tomato runts into the compost. And here we are, a month later, serving brown-bag-ripened tomatoes to a three-year-old for breakfast.